Nobody does it better than the Pittsburgh Steelers! Celebrate your team and toast Pittsburgh's victories with this Highlight Cordial 2oz. shot glass. 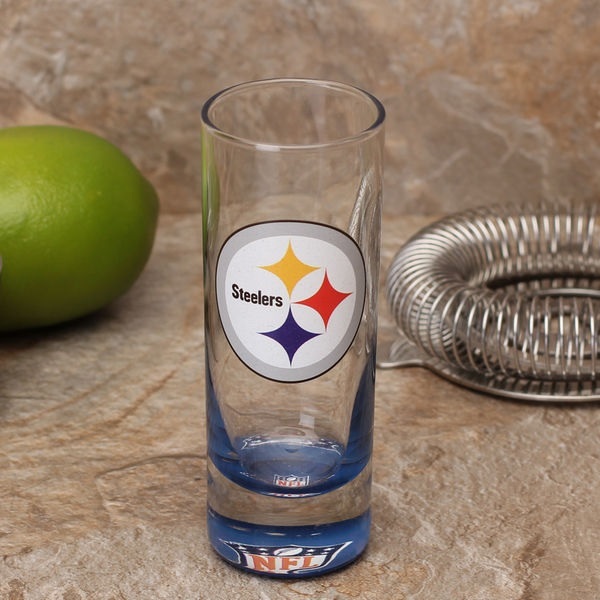 It features a vibrant team graphic set in clear glass, so you can represent your team and enjoy a taste of your favorite beverage at the same time. Cheers to you and your Steelers!